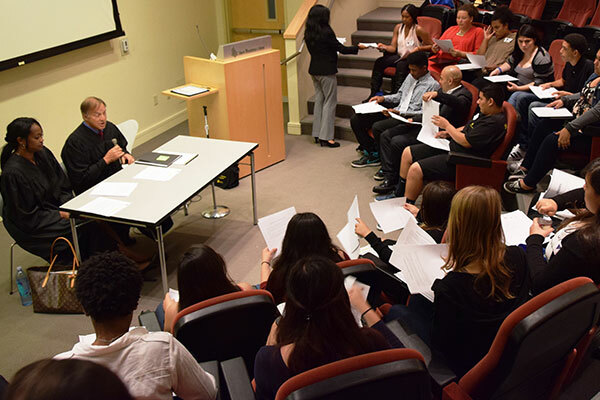 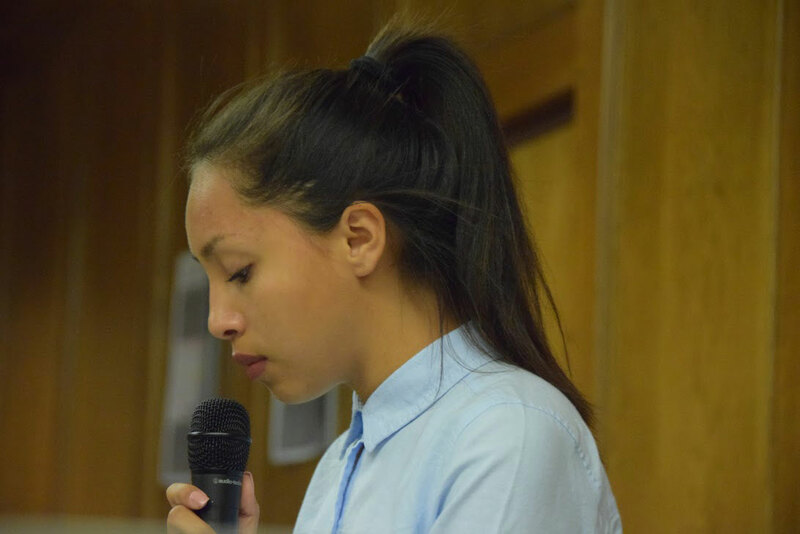 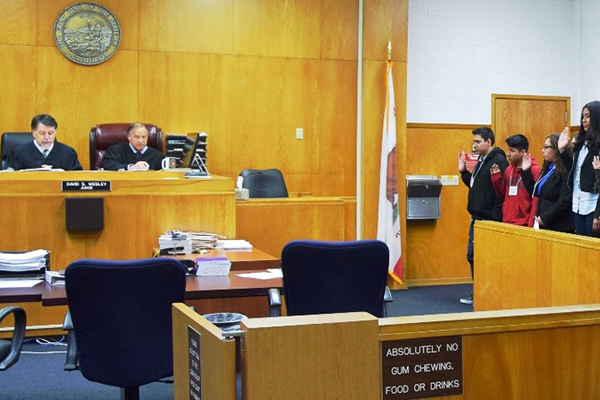 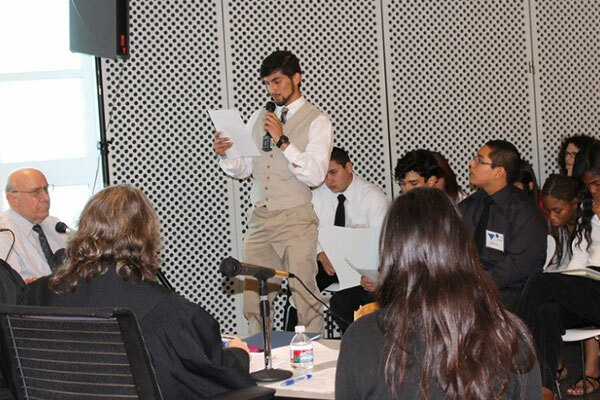 SHADES (Stop Hate and Delinquency by Empowering Students) is a specialized version of Teen Court that handles incidents and crimes related to hate, bias and bullying among youth. 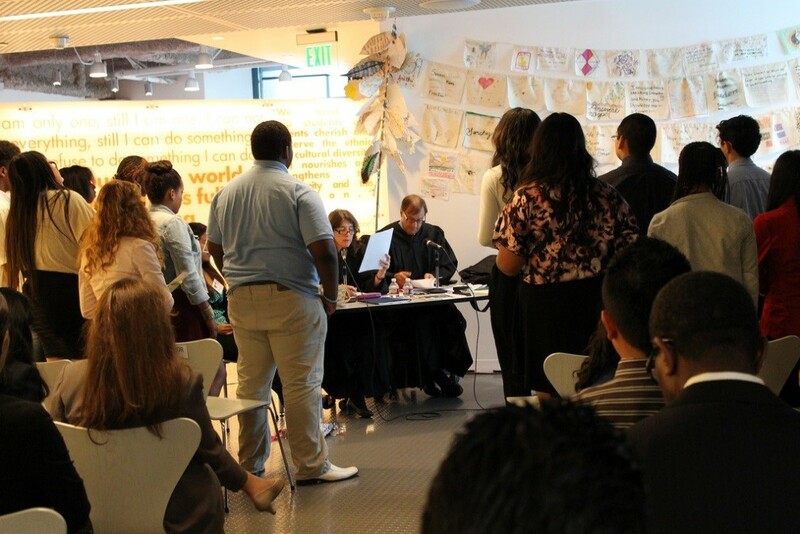 In partnership with the Museum of Tolerance, the SHADES Court hears criminal cases in which minors who face charges for bias-motivated crimes, hate incidents and bullying targeted at protected classes, including race, religion, age, national origin, disability, sexual orientation and gender, are tried by a jury of specially trained high school students who have participated in a five-day human relations and Teen Court training program at the Museum of Tolerance. 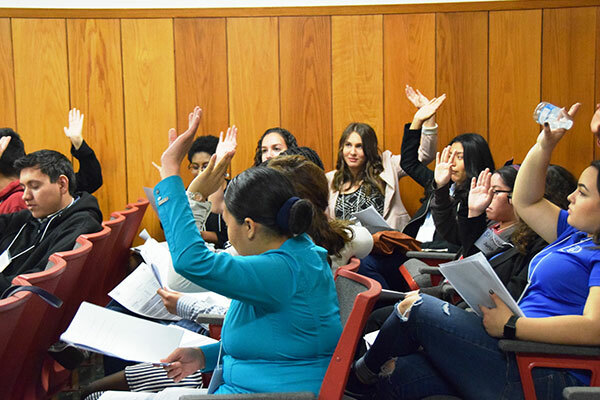 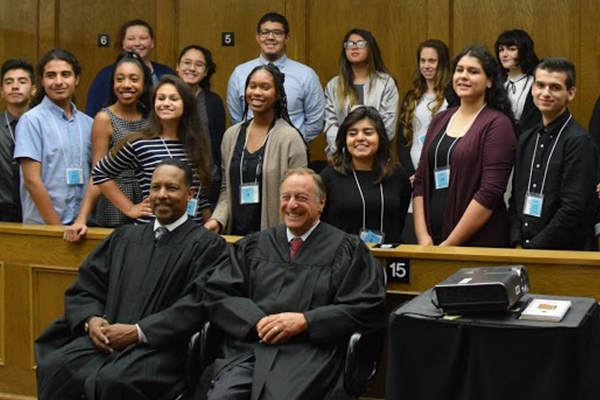 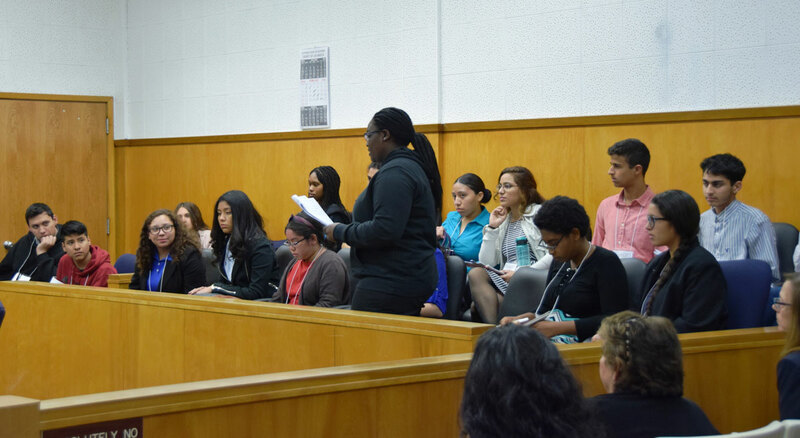 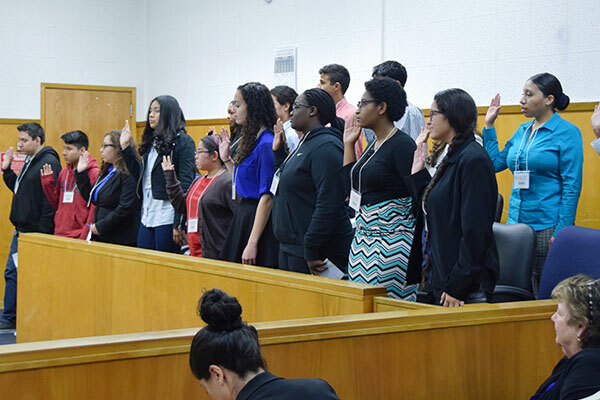 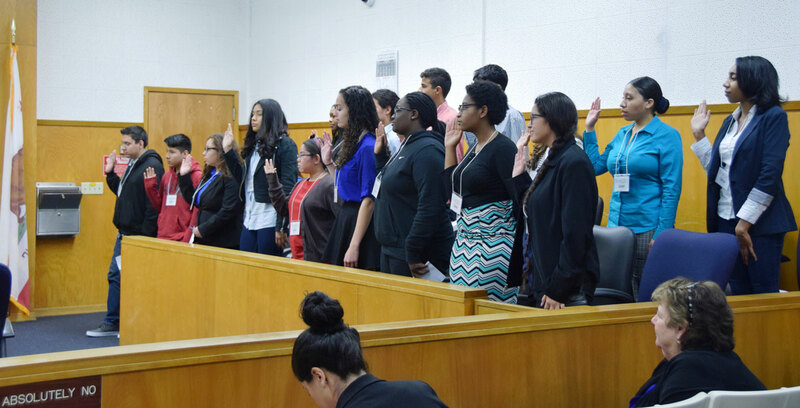 The juror pool is a mix of students from Teen Court high schools throughout Los Angeles County. 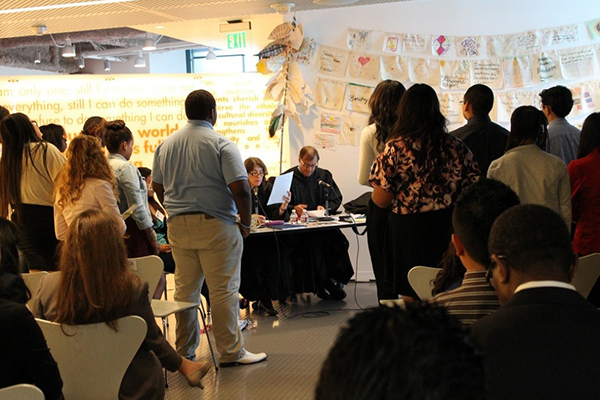 Los Angeles Superior Court judicial officers preside over SHADES cases at a courtroom at the Los Angeles Superior Court or at the Museum of Tolerance. 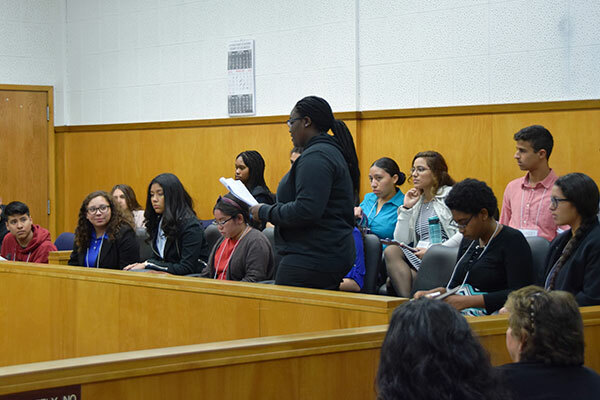 If the student is found guilty, the SHADES jury will make recommendations to the judicial officer for the student’s probation conditions. 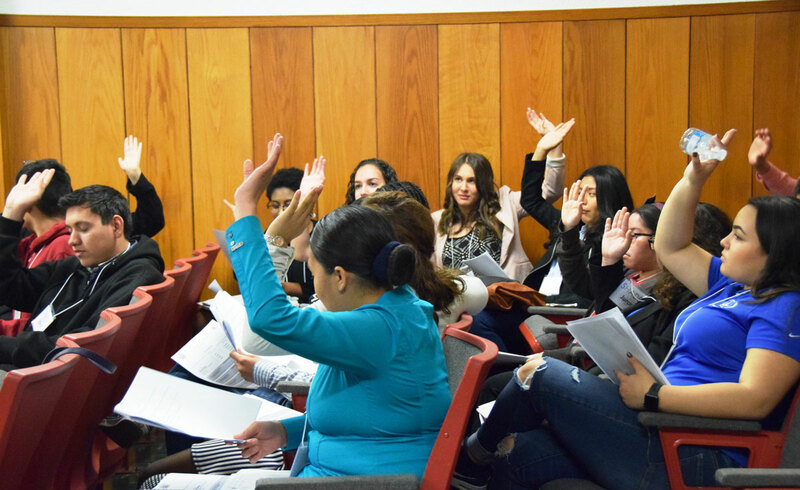 The goal of these conditions is to order the minor to participate in activities that will raise his/her consciousness and appreciation of diversity. 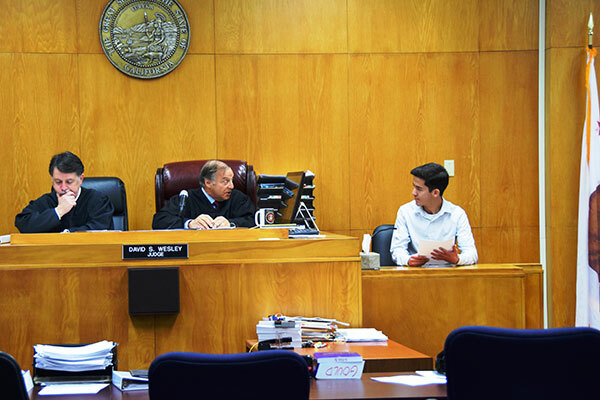 SHADES benefits the minor offenders by addressing the root of their prejudice, enabling them to avoid a criminal record, and giving them an alternative to expulsion or transfer to another school. 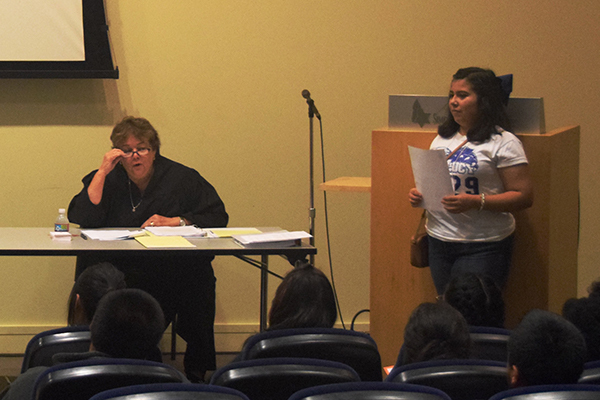 SHADES benefits campus administration by addressing campus tension and violence to help prevent future incidents. 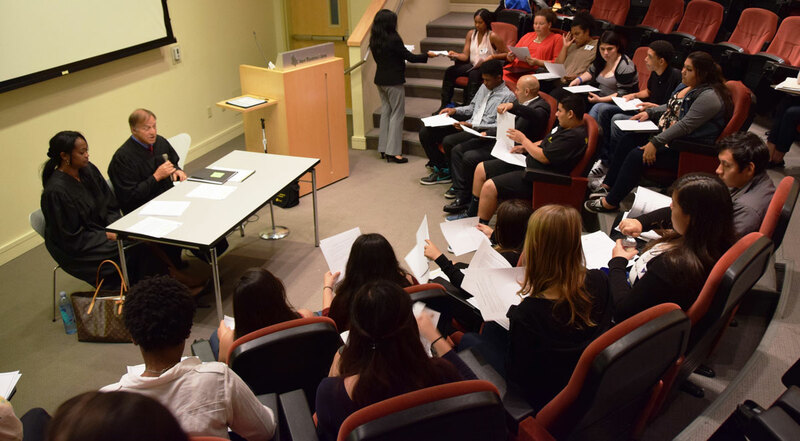 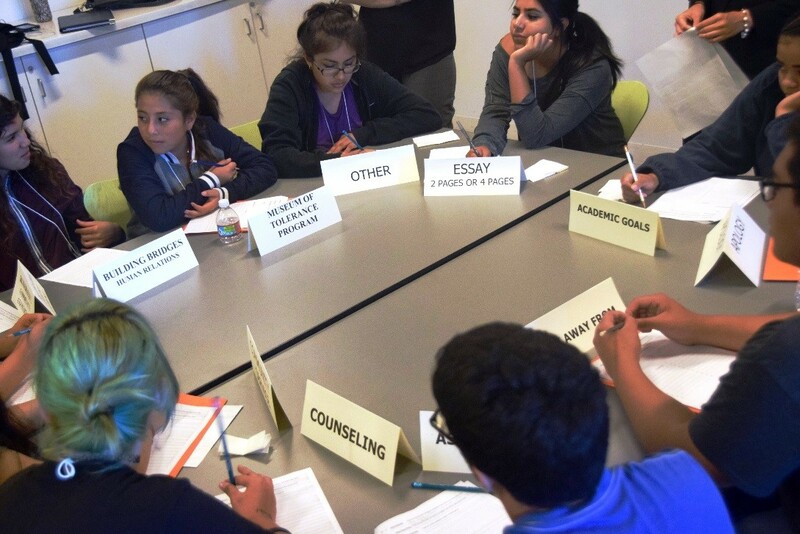 SHADES jurors improve their understanding of issues related to diversity, prejudice, hate and bullying, and develop empathy toward people different from themselves. They also learn questioning and listening skills that help them effectively adjudicate the hate crimes and incidents. 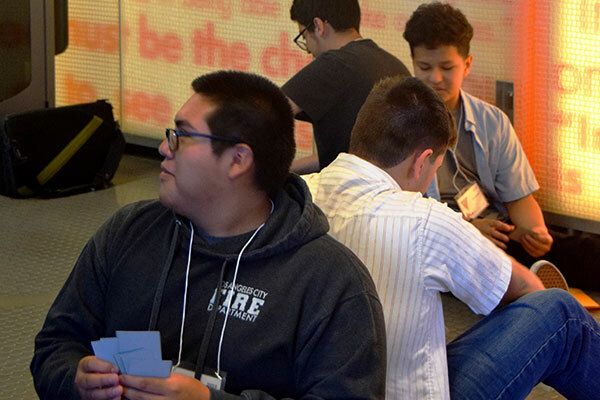 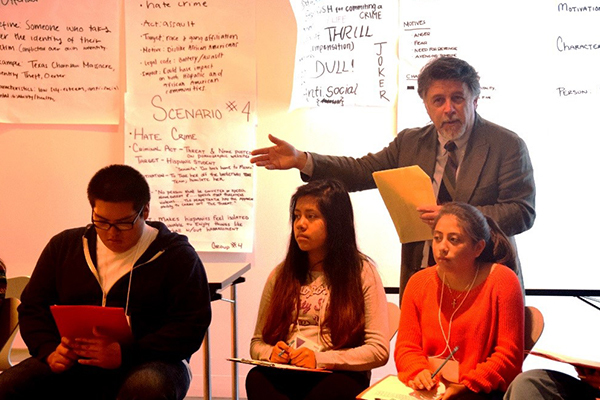 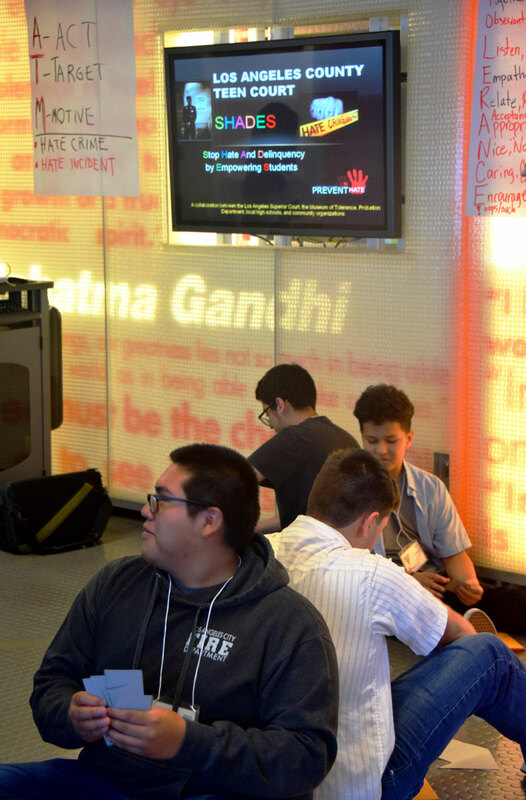 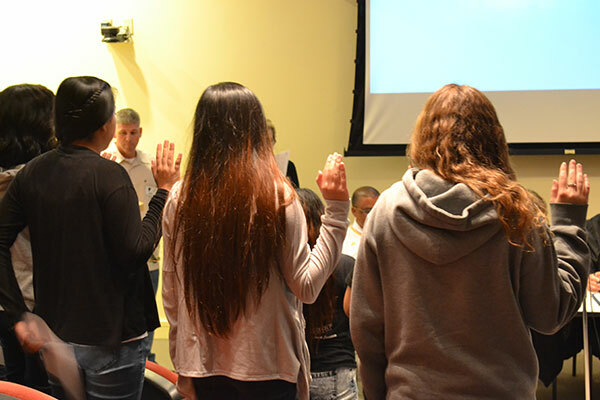 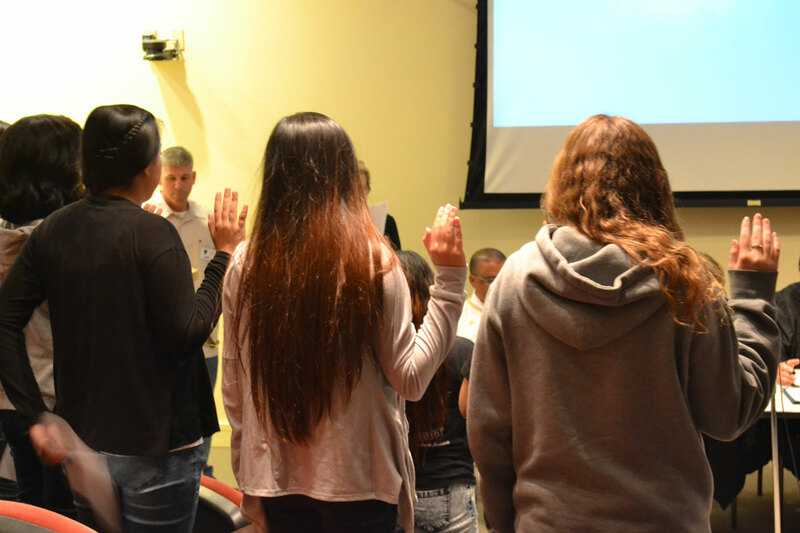 Since the inception of the program, over 500 high school students have attended the SHADES Juror Training Institute at the Museum of Tolerance. 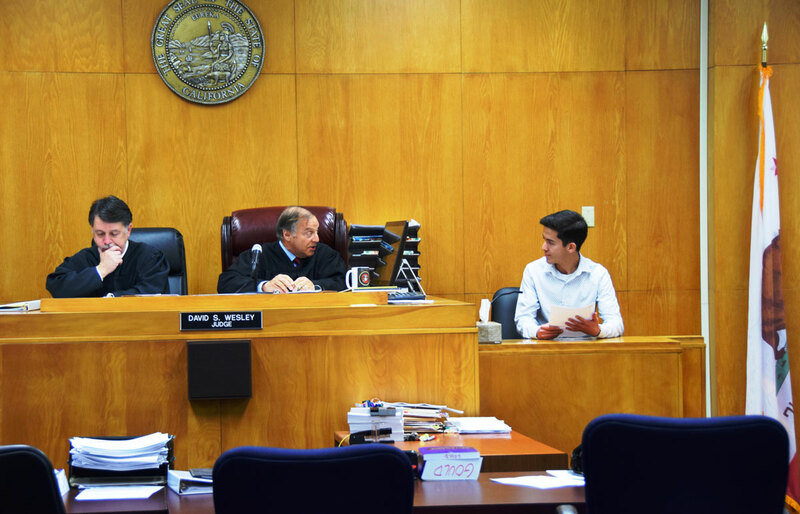 Since 2012, the Court has held 19 SHADES trials involving alleged hate crimes based upon perceived sexual orientation, religion, gender and race, including a high profile matter involving an alleged attempt to start a “race war” at a high school.